Risottos take a lot more attention from the cook to make than standard rice recipes. 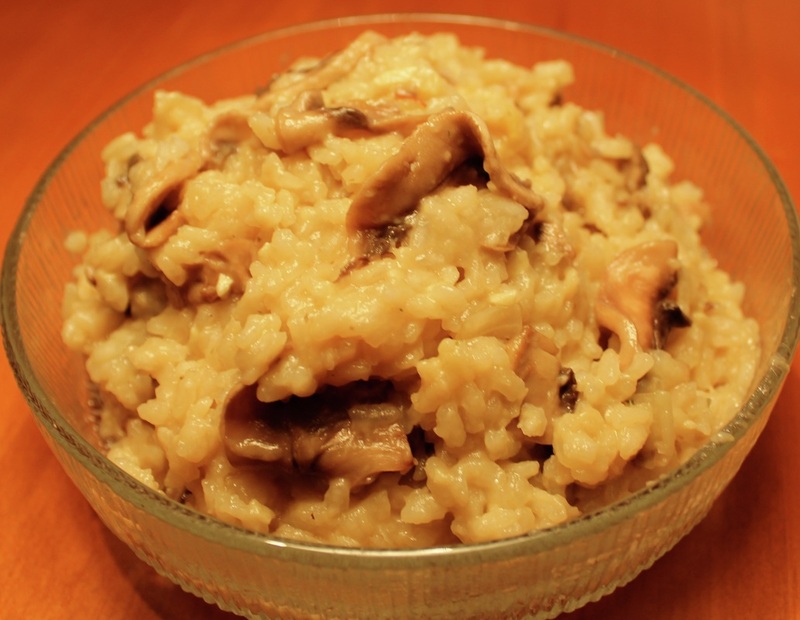 The extra time and attention really pays off in this excellent mushroom risotto side dish. Adding wine at the end of the cooking process really enhances the flavor of this creamy mushroom risotto dish. Melt butter in large skillet. Add mushrooms, cooking until tender. Put in a dish and set aside. Heat oil in same skillet you used for the mushrooms. Add garlic and onions, cooking until tender. Add rice, stirring until well coated with oil. Pour 1/3 cup of the warm chicken broth into the rice, stirring until broth is absorbed into the rice. Don't let the rice dry out completely before adding more broth. Add another 1/3 cup of the warm broth, stirring until liquid is almost all absorbed. After all broth is absorbed add wine 1/3 cup at a time (just as you did with the broth) letting the rice absorb the liquid. Continue until rice is tender. Stir in saffron, mushrooms, and Parmesan cheese.